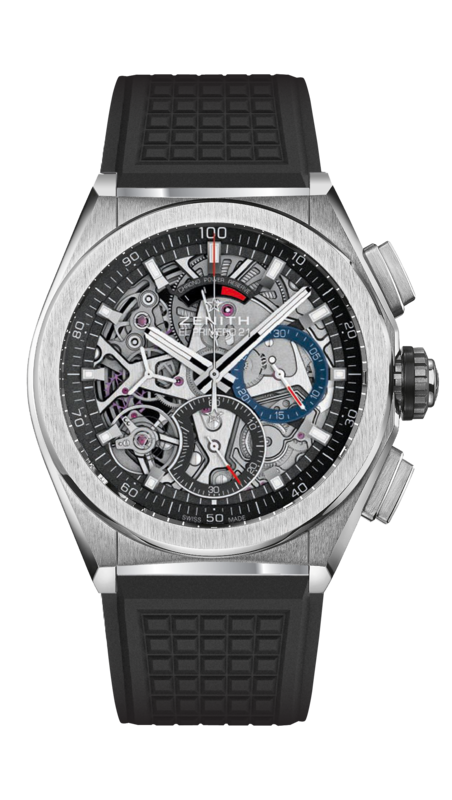 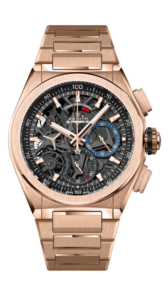 ZENITH stunned the world in 2017 with the grand release of the new ZENITH DEFY EL PRIMERO 21. 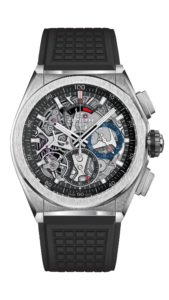 A chronometric reinvention of accuracy and reliability, the DEFY EL PRIMERO 21 is the ultimate embodiment of the spirit of innovation that has coursed through ZENITH’s blood for the past 150 years. The warm glow and precious refinement of rose gold gently accentuates the inherent nobility of this trailblazing model. 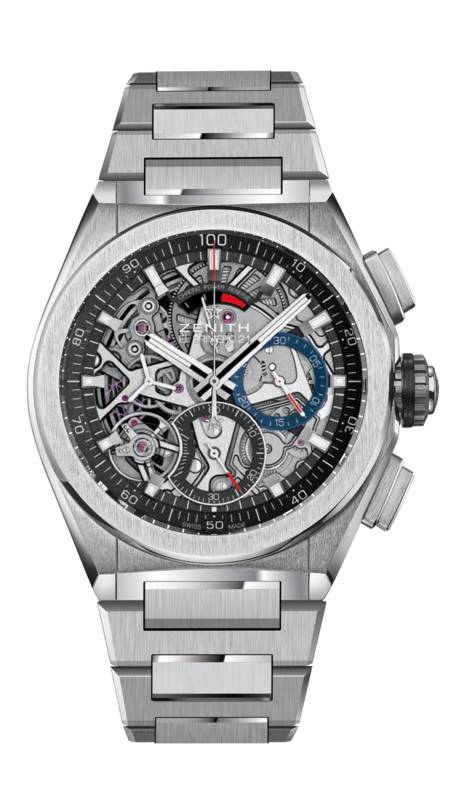 In 1969, ZENITH launched El Primero, the first ever fully integrated automatic column-wheel chronograph movement, enabling 1/10th of a second precision. 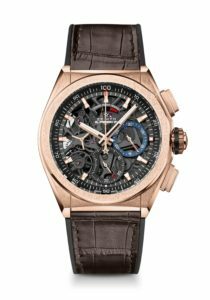 The ultimate fulfillment of a quest for perfection and a proven ability to create watchmaking legends, this groundbreaking model laid a new milestone in watchmaking history that had never been surpassed – until now. 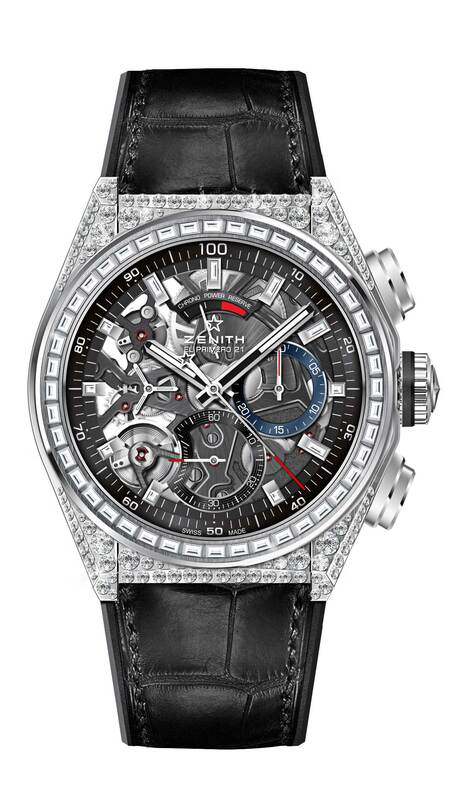 Half a century later, ZENITH has once again defied tradition and pushed all existing boundaries, leading us into the world of 1/100th of a second accuracy. 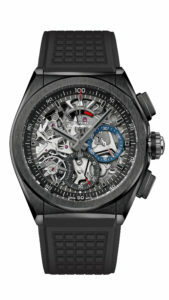 A legend reborn, the ZENITH DEFY EL PRIMERO 21 is the shining 21st century symbol of a new future for a brand with a truly unique guiding star. 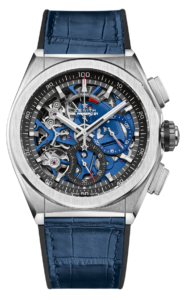 ZENITH gets 2018 off to a star-studded start with the latest special edition of its recently launched DEFY EL PRIMERO 21 in full diamond regalia. 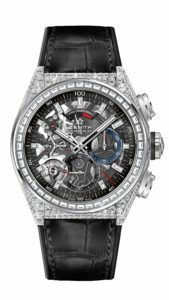 The DEFY EL PRIMERO 21 FULL DIAMOND is accompanied by its simpler diamond bezel sibling, recently launched to mark the opening of the brand’s new pop-up store on Paris’ prestigious Place Vendôme. 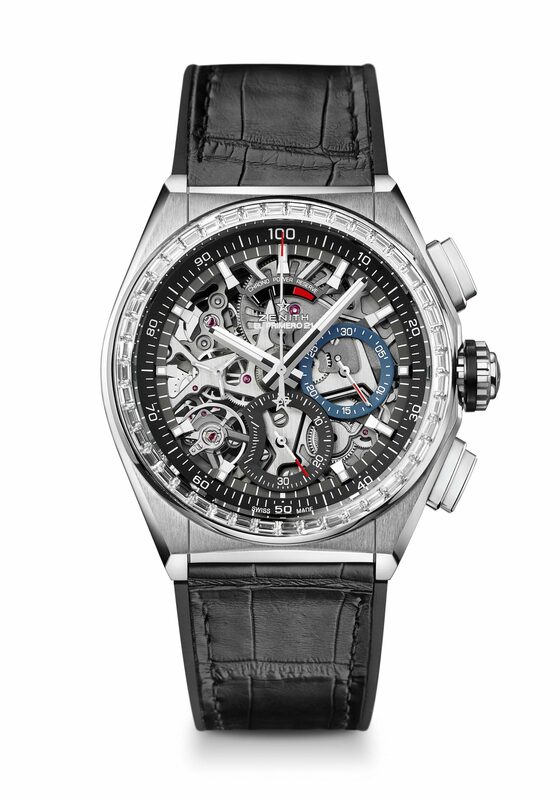 The DEFY EL PRIMERO 21 epitomizes the new generation of ZENITH chronographs, embodying contemporary mechanics endowed with an unprecedented visual, auditory and dynamic identity. Proudly representing the longstanding traditions of a Manufacture with well-proven expertise in the field of chronometry (precision timekeeping), it naturally incorporates the very latest technological breakthroughs. 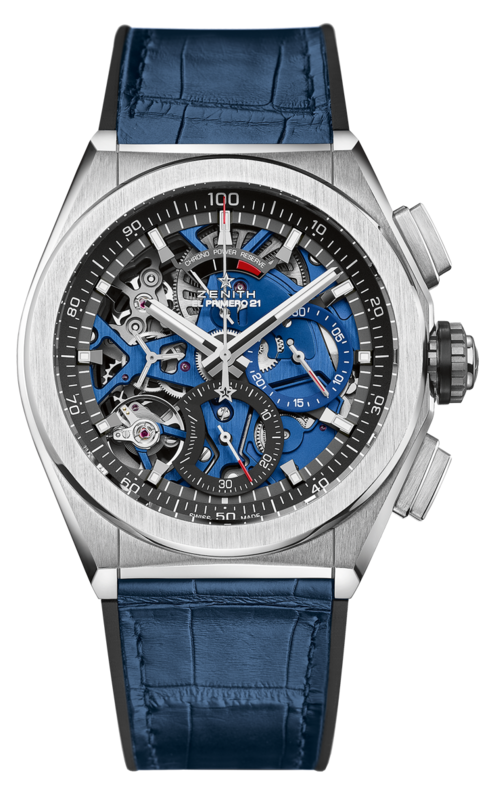 The natural charisma of the DEFY EL PRIMERO 21 is beautifully showcased in this delightfully elegant true blue version. Classiness meets precision in this black ceramic version of the DEFY EL PRIMERO 21.